Horses have been a part of my life for 35 years. 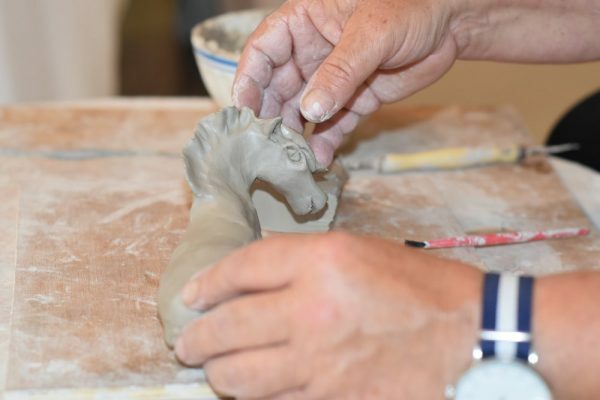 30 years ago, I became a riding instructor and since then I have wanted to express my love for horses through modeling clay, a look, the movement of a muscle, the power of a horse and its elegance all at once. I have never stopped learning along side them. 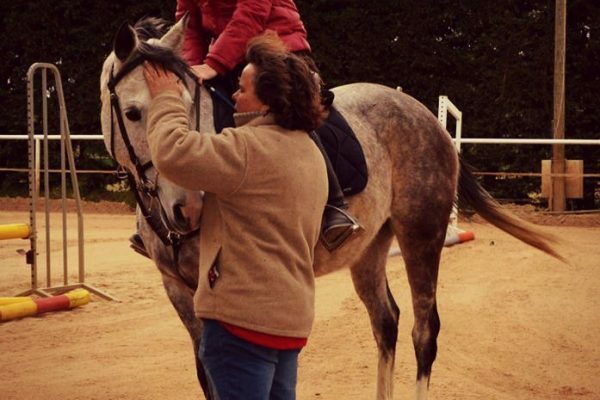 Every moment with horses fills my life with joy and I wanted to share this experience with others through my hands. I feel their attitudes, the power of their comprehension : understanding, anticipating and mainly communicating. Feeling the tiniest movement, the tiniest look. The world shaped by all these little images in my head, I hope to share with you. I work with my hands, no moulds, no models, just images of my past with horses. I start with a block of natural clay and I them shape it to allege different behaviors. Even though every sculpture is unique, realized by hand, each different behavior sculpted can be reproduced eight times maximum.